This game is in honor of the book Flatland: A Romance of Many Dimensions by Edwin A. Abbott, a classic 19th century novel that satirizes the social hierarchy of Victorian society using anthropomorphized geometry. In the book, geometric shapes are conscious, and each angle represents an additional perspective they can take on things, i.e. intelligence. Pointy triangles are the lowest, serving as police or henchmen. Circles have a near infinite number of edges and are the most intelligent. However, they aren't more moral, and secretly decided to hide all awareness of the 3rd dimension so they can maintain their superiority. 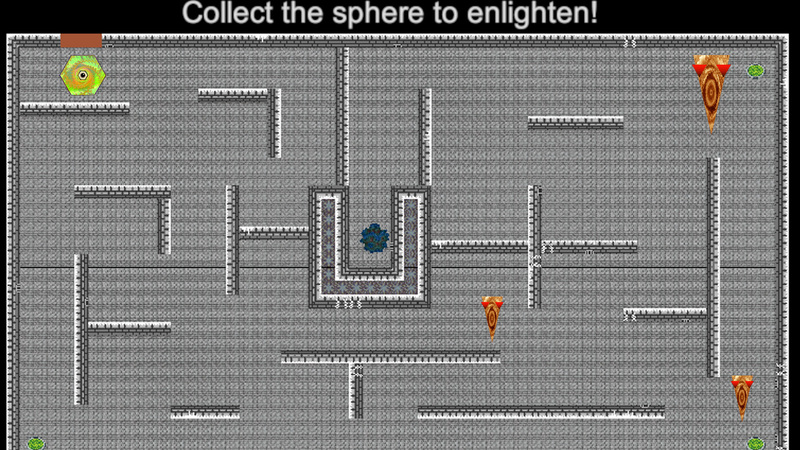 This game begins after you, a 2D hexagon named Hex, have experienced the third dimension, spoke of it, and are now in prison for heresy. The VR player, or higher dimensional life-form, has just set you free. Alarms went off and triangle henchmen are about to flood in. You can't just run away - you want to gather evidence first, then make it out safely. In the middle vault lies fractal evidence of the 3rd dimension. Grab it and run for your life! 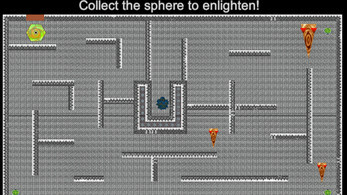 This is a two-player game in which one player controls Hex and must navigate the prison and avoid the triangular guards. Hex cannot attack or defend. 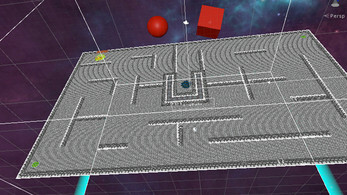 The other player is in Virtual Reality, seeing the board from above, and can move 3D objects to intersect Hex's 2D world. If the guards touch one of these other-worldly objects, they are knocked off into the 3D realm. You'd think they would thank you – but no, they take solid form and will attack the VR player! 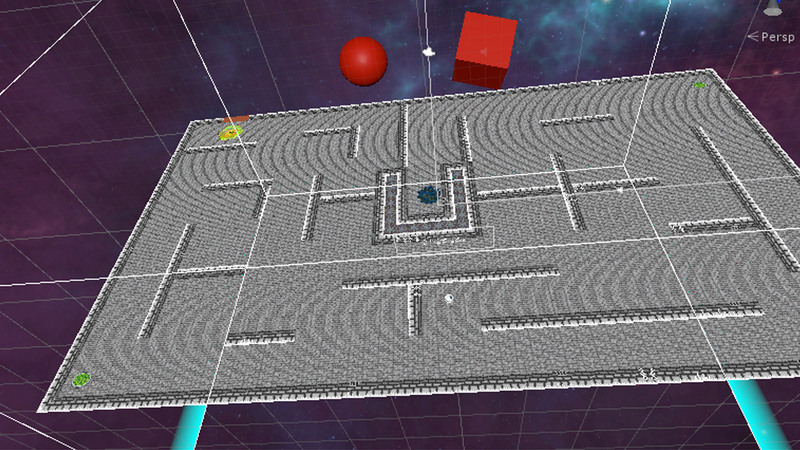 The VR player can attack the 3D enemies by hitting them hard from above, flattening them back into 2D form. But beware, you may be making life harder on Hex by killing too fast! The two must work together to ensure that Hex finds the evidence and escapes the maze unharmed. The game requires the use of an Oculus, HTC Vive or Windows MR headset with motion controllers. Created for the VR Austin Game Jam 2018. Some music, 2D tiles, and fractal rendering from outside sources. Requires a VR headset to play. Meant for one user on the PC and one in VR, but it's possible to play alone. Tested on Vive, Oculus, and Windows MR.